We all want the Longhorns in the top 25, but there are other numbers that matter. Count me among the legion of fans who love the Texas Longhorns and who look forward to sporting events with intense anticipation. Seeing the orange and white take the field, the court, or the diamond fills me with pride, even when our teams are not on top. But as much as I love watching Longhorn athletes compete and succeed, I know that whether or not our teams are ranked among the nation’s top 25, what really defines our university is the success of its schools and colleges. The University of Texas at Austin has spent decades climbing its way toward the top echelons of higher education. In recent years many of its schools, departments, and programs have been touted as among the nation’s best. Scan the campus and you’ll see several in the top 25. According to the latest U.S. News & World Report rankings, the graduate program of the College of Education is ranked 10th overall, No. 3 among publics. The Cockrell School is tied for 10th, its chemical engineering program No. 4, and environmental engineering is No. 5. 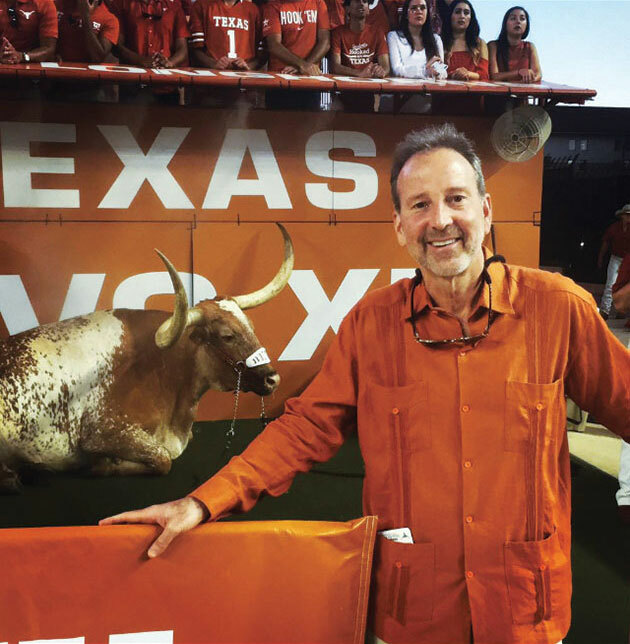 The McCombs School of Business, ranked No. 7 overall, continues its long run of having the No. 1 accounting program in the country. Overall, UT-Austin is tied for the 16th-best public university in the U.S. These are some encouraging numbers, but there is more work to do. All universities rely increasingly on their alumni to improve. At the Texas Exes, we formalize that process with programming, scholarships, and communication efforts like this magazine. Our chapters and networks around the world provide extensive opportunities for the Longhorn diaspora to stay informed and involved. Our UT Advocates program organizes alumni by legislative district to engage with state and national lawmakers. This October, we hosted our first-ever Longhorns on the Hill legislative day in Washington, D.C., where alumni visited the Texas Congressional delegation and encouraged federal support of higher education. There is much more we can and will do, and I ask that you join us. Rankings are, in part, about resources. So if you can, please consider donating. Rankings are also about caliber, so we need alumni involved in bringing promising students from their area to UT. Doing so requires only your time, as well as some enthusiasm. I know that many of our younger alumni could provide plenty of both. Just as we would never settle for seeing the football or basketball or baseball teams in the middle of the pack, nor should we be complacent about our university’s national ranking being anything less than No. 1.